I order this primarily for my wife who needs high sun protection. It is easy to apply from the pump and goes on smoothly. It does not have a strong smell or leave the skin sticky or greasy to the touch. She uses Factor 30 for her face and shoulders and is able to get by with one application daily. Picked up a small bottle of this product from a local store a few weeks ago. Never have I experienced a tan which set quickly with no red spots or prickly heat. Also my husband's head is now brown like a conker instead of pink/red and dry! Love the product and can't believe the great offer price from lookfantastic! A bonus was the extra discount. Delivery was free and exceptionally speedy. What's not to like? Great service supplying an amazing product. Used this product for many years, does as it says on the bottle. My husband uses it for face as well as rest of body, myself ( female) us same brand but higher factor for my face & decollate. No staining from product. Highly recommend. Exceeding pleased with my product and delivery service. Packed excellent and arrived quicker than I expected as delivery to Cyprus usually takes a long time. Well done and I will certainly use you again. I have also recommended you to my friend. 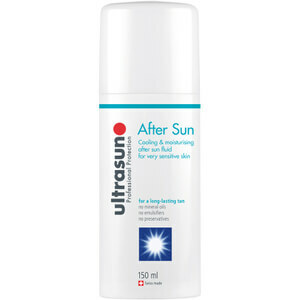 Ultrasun was recommended by a friend and we used it for the first time earlier this year on a trip to Thailand. It was very easy to apply, soaking straight into the skin. It was non greasy and non sticky, even in high temperatures and provided excellent sun protection. 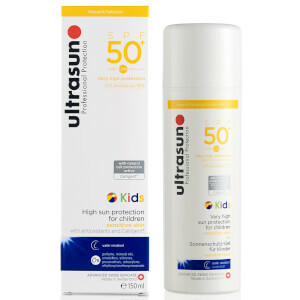 We are so impressed with Ultrasun that we have already ordered more for our next holiday and have also recommended it to our family and friends.